CBD traffic is often dreaded, as thousands of people often in a rush, navigate their way through narrow bustling streets. Clear information needs to be presented to drivers at the entrance of parking lots to avoid backlogs in such areas. 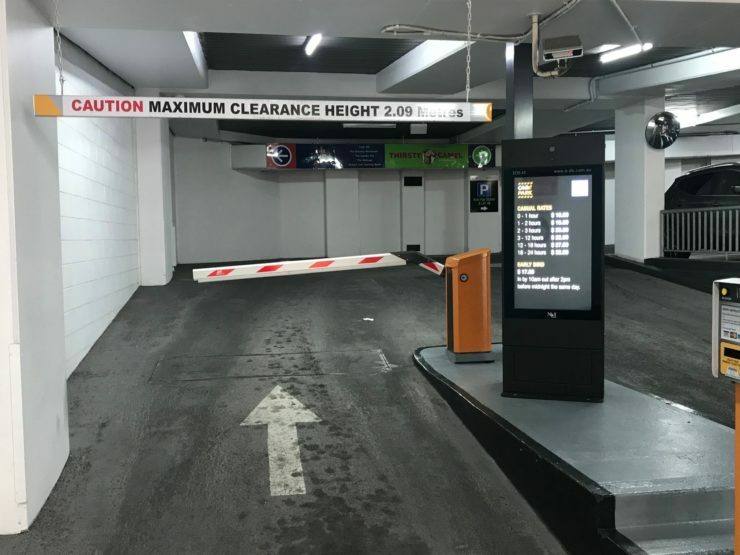 A carpark site in Adelaide’s CBD now has their parking prices presented on a stunning HD display thanks to an E-DS 43 installation. The installation is part of Care Park’s partnership with E-DS Australia. The screen features a built-in computer processor and windows, so it can be used like a regular computer. This means just about anything you can display on a computer can be displayed on these screens, all in high definition. Cloud based software allows car park managers to remotely manage the display as well as design new templates and visuals. The system can be integrated with any parking technology systems such as TMA tech and SKIDATA technology. It also features a built-in IP camera which can be used for security monitoring. With many features for the car park managers, and a crisp display for a pleasant customer experience, SA CBD parking has reached new heights with this E-DS installation.